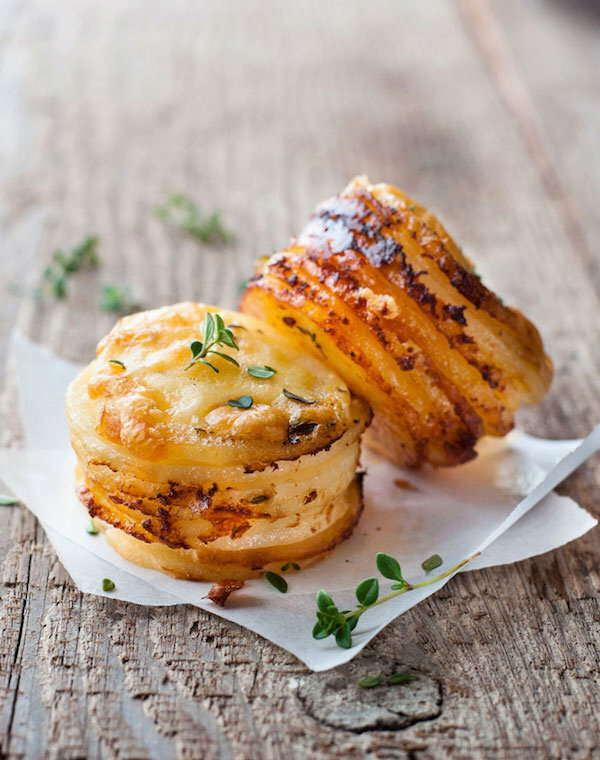 Successfully saved Cheesy Potato Gratin Stacks (Muffin Tin) to your Calendar. You can also save the ingredients to your Grocery List. When you combine potatoes, cream, cheese, garlic and butter, you just can't go wrong. These individual size portions made in a muffin tin are great as a side, for breakfast with eggs (and bacon!) OR as finger food for a party! Just 85 calories per piece and they're freezer friendly too!